Editor in Chief Michael has recently returned from a Grecian adventure in Pelion, a gorgeous wooded and mountainous peninsula halfway down Greece’s east coast. While there, he not only rediscovered a stunning region ringed by beaches and dotted with beautiful villages of stone and slate houses, but also brought back news of some fantastic getaways, new on i-escape. 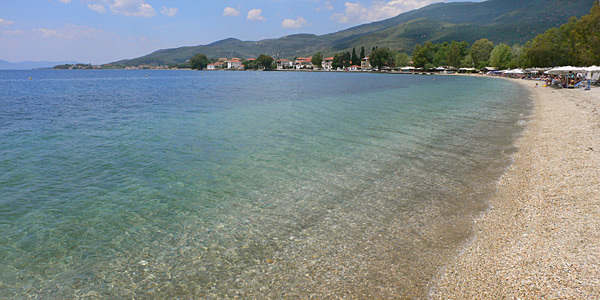 Pelion is one of our favourite parts of mainland Greece. It has numerous gorgeous coves and beaches, verdant and rugged mountains, and a welcome host of new boutique hideaways. It’s a 3- to 4-hour drive from either Athens or Thessaloniki – Greece’s second city – both of which are served by well-priced flights all year round. 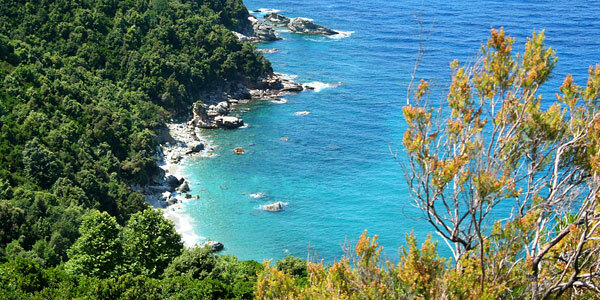 The wild and unspoilt countryside of Pelion offers beautiful hiking routes, both at coast level and high in the wooded summits. One of our favourites (and one of the least demanding) runs from Kala Nera up through shimmering olive groves to Arghireika, along the tiny train line to Oghla and back down again (1.5 hours). 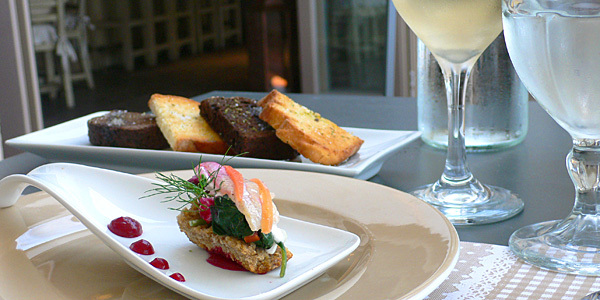 It’s easily done from Minelska, a boutique B&B with a cute seafront café. Check out our destination guide for more rambling recommendations. 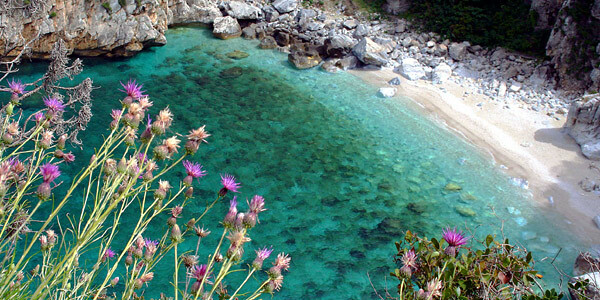 Pelion benefits from miles of undulating coastline: beaches are calm and gently shelving on the western (Pagasitic) side, while the jagged eastern shores are wild with turquoise waters. Fakistra is one of the stand-out beaches: a 5-minute drive from The Architect’s House, it’s a secluded and quiet pirate-like cove with white sands. Believe it or not, the tiny ski centre at Agriolefkes (1400m) has decent snowfall from January to March – prime time for crowd-free skiing. There are a number of other sports also available on the peninsula, from canyoning to horse riding and sea-kayaking. 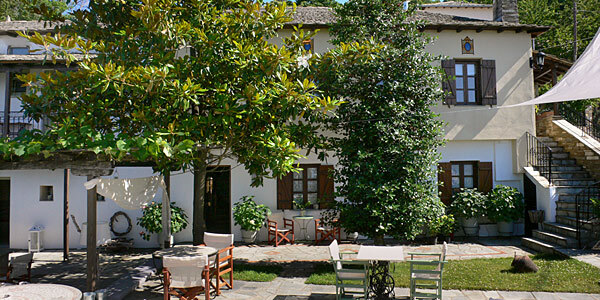 One of our favourite restaurants in Pelion also happens to be one of our favourite guesthouses. Six Keys, blessed with an unbeatable beachfront setting, offers impeccable and pioneering Greek cuisine supplied by some of the finest ingredients from across the country. Absolutely unmissable. If you’re looking for some entertainment with your meal, try Cleopatras Miramare in Damouhari (near Hotel Olga). Some may recognise it as a location for Mamma Mia while others will appreciate it for its cocktails, live music and idyllic seafront setting. All of the hideaways tucked into this peninsula, bar the more adult-oriented Six Keys, are good options for families. Minelska Resort in particular has plenty of room in the suites for sofabeds and is set near a kid-friendly beach. On such a rugged and beautiful stretch of Greece, all hotels are well placed for a quick foray into the stunning countryside. Groups or extended families can’t do much better than The Architect’s House which offers a magical combination of mountain and sea, or Little Swallows, a gorgeous Belgian-run guesthouse high up on Mt. Pelion where the hiking and biking trails lead in all directions. 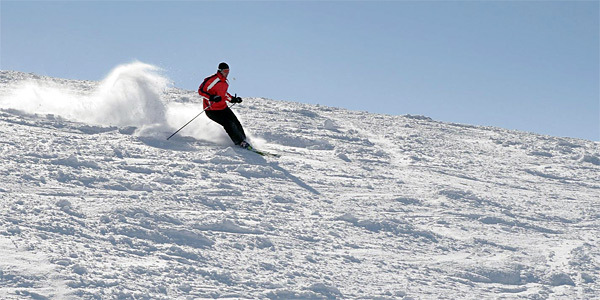 Hotel Olga and Six Keys both offer a good mix of activities and facilities. 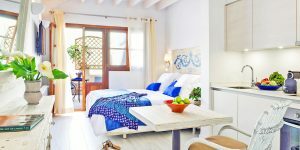 The former is a wonderfully relaxed and great-value inn only a short drive from pretty beaches, while the latter is a stylish seafront beauty with a semi-private beach and utterly exquisite gastronomic offerings.